Inspiring You to Grow Your Own HAPPY MIND... Are you looking for ways to Boost Your Happiness and Strengthen Your Positive Mindset? 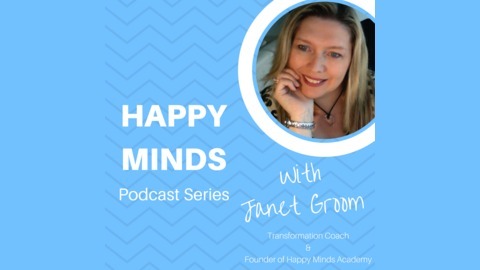 Then join me, Janet Groom, as I share with you ideas, tips and simple techniques to use to GROW YOUR OWN HAPPY MIND. 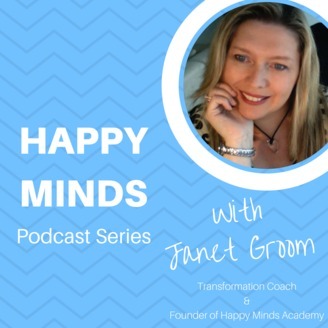 As an experienced Transformation Coach and Founder of Happy Minds Academy - my desire is to support you to step into your own HAPPINESS and LIVE A LIFE YOU LOVE.... Make sure you SUBSCRIBE - so you don't miss an episode and if you enjoy it - please add ratings. For more information about me - check out my website >>> www.janetgroom.com.